Four new polls today but all in safe states, two for Kerry and two for Bush. Kerry has maintained his leads in California and Illinois and Bush has maintained his leads in Alabama and Georgia. 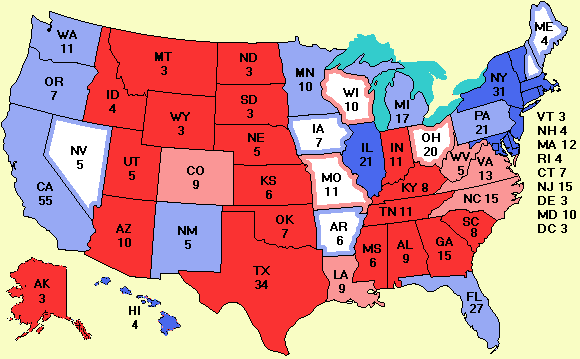 All the polls were taken before the announcement of John Edwards as Kerry's running mate, but it is very unlikely that will make any difference in these four solid states.